A week is not a long time in Literature. After all, one famous writer reckoned that he spent a morning putting a comma in and the afternoon taking it out again, and considered that a good day’s work. Since the Festival programme was launched al fresco on that sunny midday in the Central Library courtyard last week, Swindon’s car fuel station’s have had their underground tanks sucked dry by queues of motorists but our helpmates at e-motion (see http://e-motionevc.co.uk) have still managed to deliver programmes throughout the region. 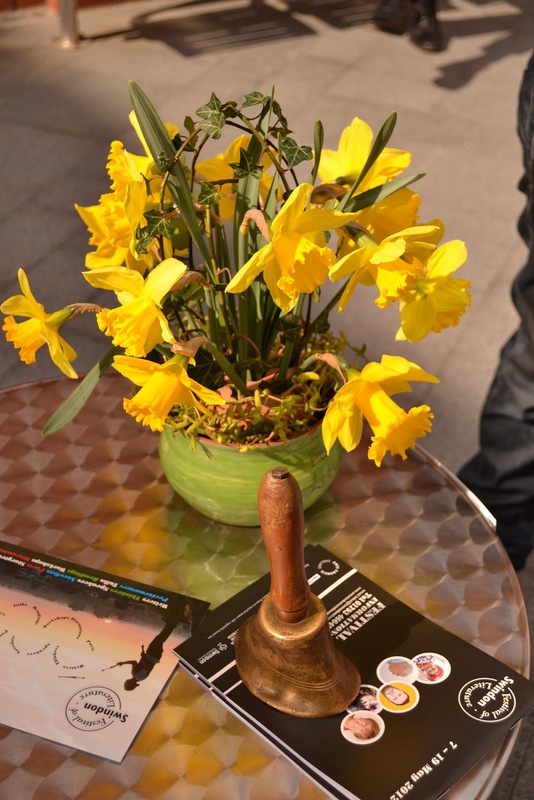 But spring sunshine is still saying yes to all things to do with life and Literature in Swindon. This week saw lots of writing-related action at the Festival’s HQ, Lower Shaw Farm. The Toothill Long Poem, created by Hilda Sheehan and West Swindon students, got its first run out before a discerning Writers’ Cafe and workshop audience. On the same night, across the farm yard, busy mums made time to work on their magazine, aiming to launch it at the Festival on 10th May. Already, on the very first day of April, we warm up for the Festival proper with a little Paraguayan fiesta, this Sunday 1st April. 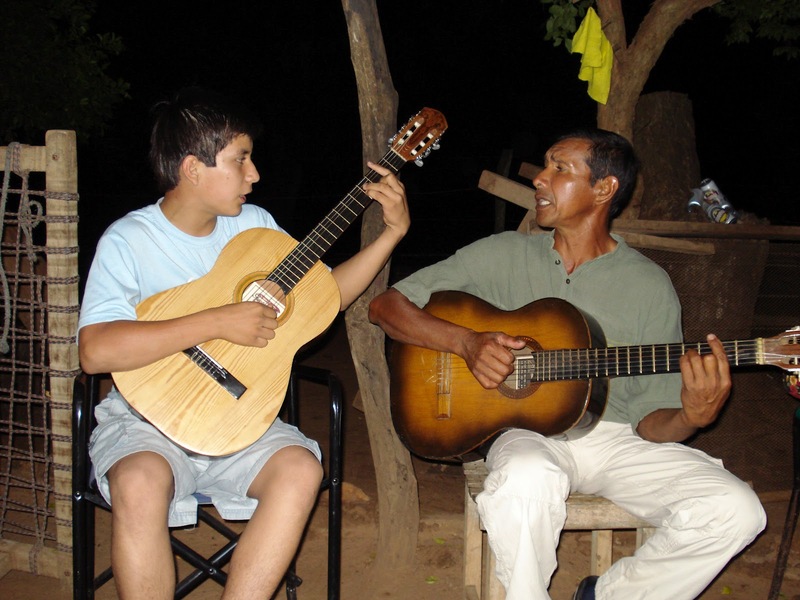 An open mic event for guitarists, violinists, singers, poets, and storytellers from Swindon to meet harpists, musicians, and friends from Paraguay. Presented in association with the Swindon Festival of Literature and Paraguay’s Sonidos de la Tierra. Performers will include international music maestro Luis Szarán, harp-playing twins Margaret & Rosemary, Rebecca the Mastermind expert on Paraguay, and Swindon’s newest band Jamocracy, plus cool poets, hot storytellers, and doubtless a surprise or two. You can come too! Bring your instrument, your ideas, your poem, your story, your song, or just yourself along. 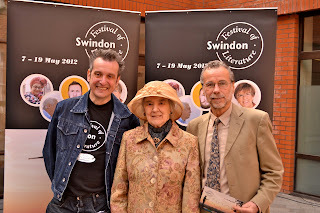 The 19th Swindon Festival of Literature was launched. Yay! At 12 noon yesterday, the spring sun shone on the open-air courtyard of Swindon’s prize-winning Central Library, which was full of the best and keenest of Festival followers, including poets, students, workers, OAPs, and MPs, and the programme for the 19th Swindon Festival of Literature was launched. Yay! Chatting, nibbling, and reading programmes, hot off the local Acorn press, assembled folk looked lovely, to me anyway, especially the ones wearing Festival T-shirts but in their own choice of colour, like perfect pink and bright orange. And the 5-year old twins in ‘nightgown’ litfest-logoed T-shirts were beautiful beyond belief, even when they played ring-a-roses races round the dignitaries silver chairs. Last year’s Youth Slam winners PWA (Poets with Attitude) performed their winning poem, which, among other teenage topics, finger-wagged at intolerant parents, but with an appropriate mix of affection, compassion, and humour. The town’s new Manager for Arts & Libraries spoke freely and positively about the arts in Swindon and sang the Festival’s praises, and called it quirky, but with an appropriate mix of affection, compassion, and humour. One of the town’s MPs spoke spontaneously, about his love of books, even e ones, and the Festival too, echoing the ‘quirky’ epithet, but of course, with an appropriate mix of affection, compassion, and humour. And I spoke too, with a thankful mix of affection, compassion, and humour, about local makers, suppliers, and sponsors, without whom the Festival could not happen. And its helpers too, which on this day included a kindly Australian, an elegant grandma, numerous salt-of-the-earth Swindonians, and a terrific teenager from Swindon’s largest family. The excitement was such, at least for me, that I forgot my peroration, to go through the programme, highlighting highlights and lowlights. Oh dear. I do hope it will be read rather than glanced at. There’s more to this celeb-free prog than meets the casual eye. 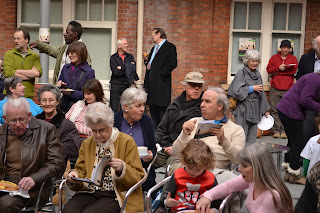 Read it, on www.swindonfestivalofliterature.co.uk, and see! By mid afternoon, back at the office, down on the farm by the hen house, and first email from box office comes in. It says that people have come straight from launch, to book tickets. Yay! Look out for weekly updates on what's happening in preparation for the Festival.